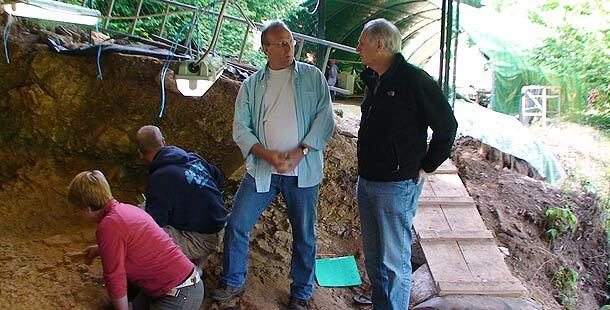 Alan Alda and the Human Spark crew met up with archaeologist Randall White in France at his excavations of a shelter that was used by early modern humans more than 30,000 years ago. Here Randy shares some of his personal history with this site and what makes it an exciting place to return to year after year. I have had a love affair with southwestern France and its prehistory for all of my adult life. I first visited the collapsed rock shelter of Abri Castanet, nine kilometers downstream from Lascaux Cave in the Vézère Valley of France, when I was a young graduate student some 33 years ago. 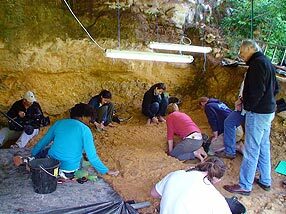 At that time, I was doing thesis research on the geographic locations of Cro-Magnon living sites in southwestern France, seeking to understand the logic behind prehistoric choice of living places. Abri Castanet stuck in my mind for reasons both good and bad. The bad: There had been no excavations at Castanet since the 1920s and the site was in a terrible state of abandon, even serving as the garbage dump for the farmhouse above the site. As a young, idealistic archaeologist in 1976, this seemed to me to be a shocking state of affairs for a site that had yielded much of what was then the oldest known evidence for art and body ornaments. 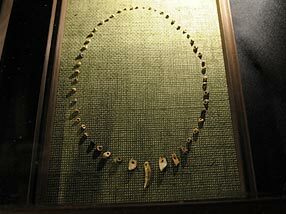 The good: It was apparent to me that much of the site remained intact and unexcavated. 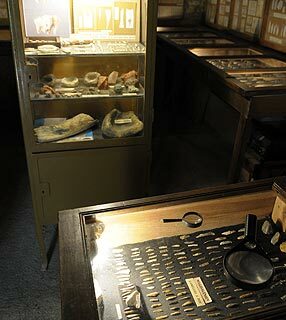 Since the early excavations at Castanet had been done with rather crude, pre-modern excavation techniques, the fact that there remained substantial intact deposits meant that new excavations could someday provide a wealth of data on the precise dates of the early symbolic artifacts and on the context of their production and use more than 30,000 years ago. Was Castanet an ordinary living site…or something more special? What time of the year was it occupied? How exactly were the dozens of engraved and painted limestone blocks related to other human activities and living structures at the site? Were the hundreds of personal ornaments manufactured here or were they brought in by exchange only to be lost or abandoned on-site? In 1976, as I contemplated the desolation of the site, then obscured by a thick mat of moss, ivy, and decomposing debris, it did not even cross my mind that someday I would undertake decades of research here that would lead to discoveries shedding new light on the evolution of human society and symbol-use. I simply tucked away the fact of its intact deposits into some remote corner of my professional memory. Who knew that in the 1980s I would become a leading researcher on the subject of Ice Age body ornamentation and that I would return to Castanet several times that decade to study the ornaments from the early twentieth century excavations? Those old collections left so many unanswered questions that, in 1994, I came back to Castanet to dig, hoping that I was right in thinking that it still had secrets to reveal about the ancient Cro-Magnons. Abri Castanet kept up its part of the bargain. By the time Alan Alda and the Human Spark crew arrived at Castanet in the summer of 2008, I had already directed a Franco-American research team during nine seasons of unimaginably meticulous excavations, recovering even the dust and debris from bead-making, thus proving the existence of workshops for ornament production. Our work at Castanet might have ended this year had not a major discovery occurred during the 2007 season when we discovered a one-ton fragment of the collapsed roof of the Castanet shelter. The roof had fallen (undoubtedly with an enormous wooompff) directly onto an ancient living surface bearing stone tools, fireplaces and animal bones. On July 9, 2007, we would discover that its undersurface, the former ceiling under which the site’s Ice Age occupants had lived, had been painted and engraved by them. At the moment of collapse, bits and pieces of animal bone from the living surface became stuck to the decorated ceiling. Six radiocarbon dates on these bone fragments provide dates of 32,400 years ago, making the Castanet decorated ceiling one of the three or four oldest examples of engraved/painted imagery on the planet. Better yet, much of the remainder of the collapsed ceiling, in direct contact with the living surface upon which the artists stood, is still in place. Over the next ten years, we plan to excavate and study more than 20 square meters of the ancient decorated ceiling and the artifactual evidence for human activities that took place under the decorated ceiling before its collapse. It was great fun to share our work with Alan Alda, Graham Chedd and the Human Spark crew and to illustrate for them the hard-won knowledge of the past that comes from years of patience, persistence and teamwork. If there is a Human Spark II in ten years, come back to see us… We will still be there adding solid new bricks to the edifice of knowledge of the human past. Archaeology is an exceedingly expensive endeavor and the Castanet project would not be possible without generous assistance from: United States National Science Foundation, the Direction des affaires culturelles de l’Aquitaine (French Ministry of Culture), the LSB Leakey Foundation, the Reed Foundation, the Institute for Ice Age Studies and New York University.